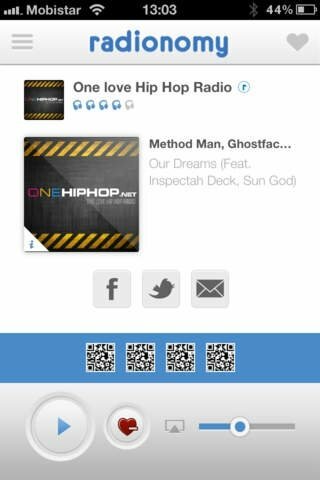 Radionomy allows you to use your iPhone to tune into thousands of online radio stations, mostly music stations, but also thematic broadcasts with high quality contents. 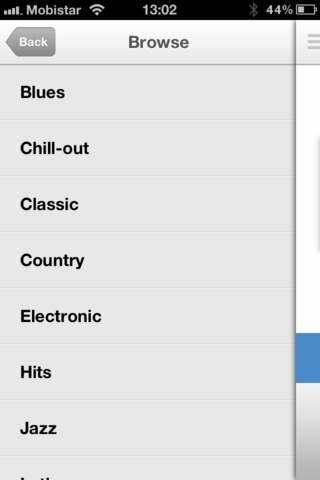 These stations are classified by genres, being possible to browse through them to find very specific contents. 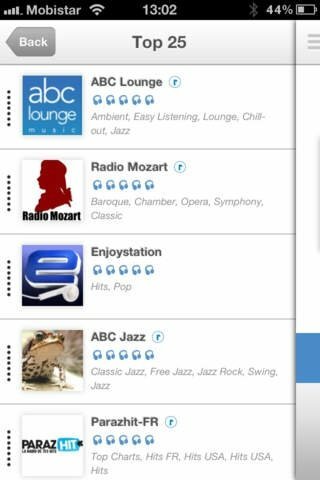 More than five thousand radio stations sorted by music genres and themes. Radio stations managed by both professionals and amateurs. Top 25 most listened to stations. Staff pick of Radionomy stations. Search system for radio stations using keywords. Browse through the catalog of stations. Thousands of online stations of all sorts of music genres and topics. Radionomy is one the largest online radio station networks in the world, with thousands and thousands of stations and almost forty million hours of monthly broadcasts. Enjoy its high quality contents with the official application for iPhone.